Sea-level rise – Real Science at SOEST! HAS MOVED! As a climate modeler, I mostly experience climate change through graphs and figures, scientific papers and the long-term projections of the Intergovernmental Panel on Climate Change report. At times the reality of climate change becomes more tangible, like when we went on a field trip to Mauna Loa and were presented with a 400 ppm CO2 air sample — the Keeling curve in action! 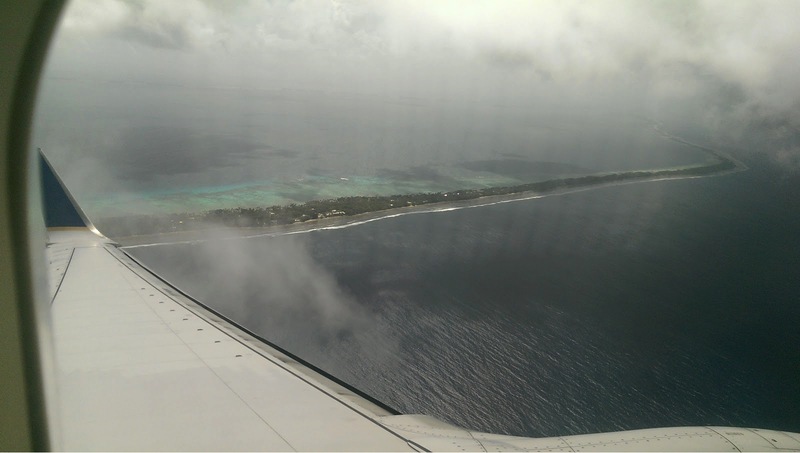 But it wasn’t until I visited the Marshall Islands this June to contribute to the 2015 Climate Science Teaching Institute, that the painful truth of a changing climate truly hit home. At an average elevation of 2 m above sea level, the narrow atoll islands of the Republic of the Marshall Islands (RMI) and its population of 68,000 are at risk of near-constant inundation by the end of this century. Not much further down the road, the islands could disappear entirely. The injustice of this is enormous. Not only did the Marshallese do very little to contribute to the leading causes of climate change, they also do not have the resources that richer (i.e., more polluting) countries have to deal with its consequences. Recently, the RMI Ministry of Education added climate change education to the mandatory curriculum, so that its citizens will be better informed about what is happening to their islands and the world around them. 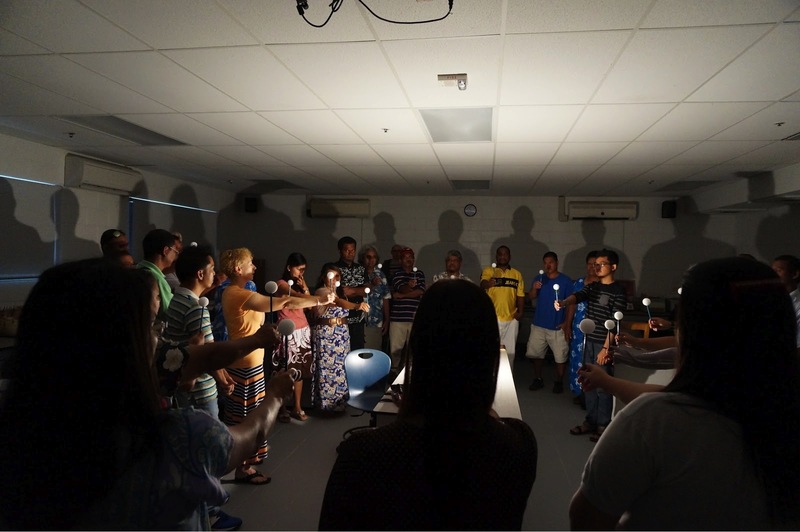 In this context, COSEE Island Earth – with support from PREL and NSF Ocean Sciences – organized a workshop for high school teachers so that they will be equipped with knowledge and activities to use in their classrooms. I had the honor of teaching the physical climate science part of this workshop. Teaching at this workshop proved to be challenging, for unexpected reasons. For starters, it was difficult to figure out what material to present on. How was I to condense all the complexities of the climate system and climate change science into a few lectures that are understandable, relevant and comprehensive? Many of the attendants of our workshop were general science or biology teachers, so they had little prior knowledge of how the climate system works. Furthermore, while English is an official language of the Marshall Islands, most teachers were more comfortable in their own language — which was often, but not always, Marshallese (many teachers in the RMI come from other Pacific Islands such as Fiji, Micronesia or the Philippines). We also encountered cultural differences between teachers in the US and the Marshall Islands, with the latter seeming less vocal when questions arose. By starting with the material at the very beginning, building slowly, repeating key points and leaving ample room for questions, I hoped I was able to adequately convey the material. 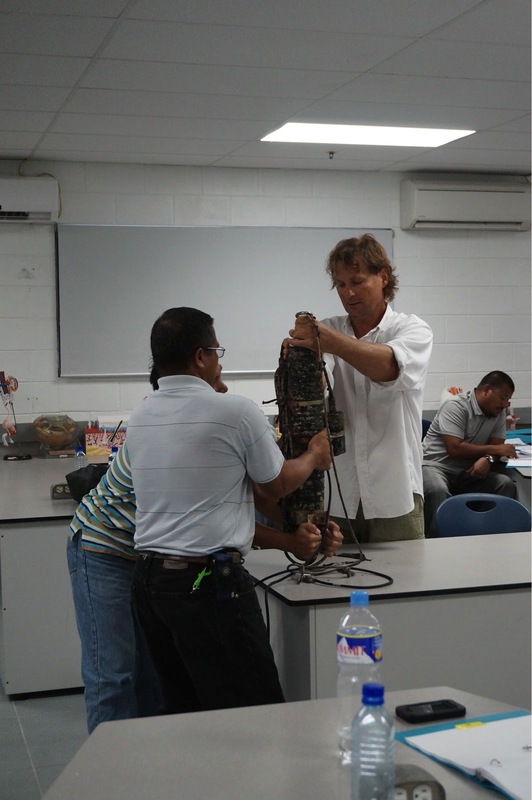 Teaching about sea level rise projections at the College of the Marshall Islands. Photo credit: Dr. Judy Lemus. In the US, decades of research and coordination have resulted in the availability of a wealth of papers, reports and websites that present scientists and the general public with detailed information about past climate measurements and future climate projections (think for instance of the National Climate Assessment or NOAA’s El Niño Portal). By comparison, a lot less is known about climate variability and change in Pacific Island nations, so I had a hard time finding easily digestible information to share with the teachers. Fortunately, the international research community is slowly starting to pay more attention to this region of the globe. I was thankful for the help of Drs. Mark Merrifield and Phil Thompson from the UH Sea Level Center, who shared and explained their work on sea level rise in the Pacific Islands. More importantly, some great local organizations were able to present at the workshop as well. By involving local organizations, we were able to facilitate the creation of (hopefully) lasting connections, so that exchange of climate knowledge can also happen outside of this workshop and in years to come. During the workshop, one of our aims was to come up with activities that teachers can easily reproduce in their classrooms. On my end, I demonstrated: 1. how to create El Niño in a tank (with food coloring and a blow dryer); 2. why sea level rises due to thermal expansion and the melting of land-, but not sea-, ice (with water, clay, ice and a heat lamp); 3. where and by how much sea level is expected to rise in the future (using the online NOAA sea level rise viewer); 4. how moon phases work (with styrofoam balls and a lamp); and 5. how to measure humidity and demonstrate convection (again using ice and food coloring and thermometers). We thought we had done a pretty decent job at coming up with accessible activities, until we learned that some schools do not have the resources we expected them to have. For instance, some schools on the more remote islands of the nation only have one computer, or no steady electricity source. One teacher told us that they don’t usually have access to ice, except for when a fishing boat stops in port! Luckily we had brought supplies with us to hand out to the teachers, so that they could at least do some of the activities. All these challenges aside, I left the workshop with many positive impressions. One would think that the prospect of a disappearing homeland and the terrible injustices of climate change and socio-economic inequality would leave a community despondent and angry. Perhaps a lesser people would be. But I found the Marshallese teachers to be eager to learn and open-hearted. Many of them went to great lengths to attend this workshop, and all appeared to be incredibly thankful for the opportunity and excited to teach the material to their students — with whatever resources they have. I was particularly inspired by one teacher, an older gentleman from Januit. He truly grasped that dealing with climate change in these remote islands is not only an issue for international politicians, but also an opportunity for islanders to increase resiliency and battle poverty by taking better care of reefs, land and people. When these kinds of insights enter into school curricula, that is the power of education. So in the end, while I hope that the Marshallese high school teachers were able to learn from me and my knowledge of climate change, I am also grateful for all that they taught me. 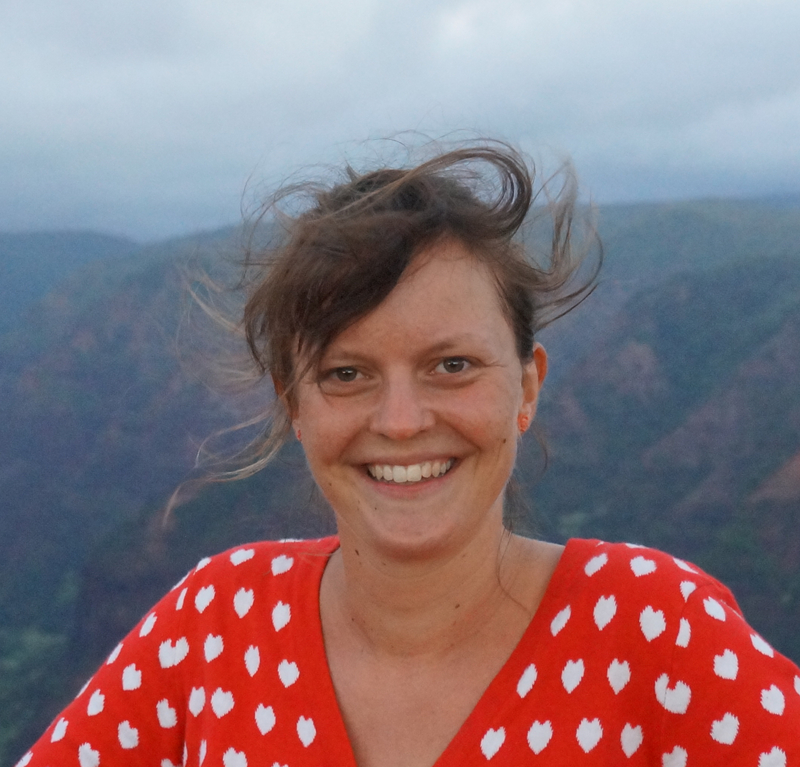 Michelle Tigchelaar is a PhD candidate in the Department of Oceanography at the University of Hawai’i at Mānoa. Her research focuses on modeling the response of the climate system to long-term forcing over the past 800,000 years. She also enjoys putting science to good use and being a student activist.